GoPro is sticking to an annual refresh cycle for its entire lineup, and right on cue, the company has launched its seventh generation of Hero action cameras for 2019. This year GoPro has released not one but three cameras — the Hero 7 Black, Hero 7 Silver, and Hero 7 White. These replace the existing lineup, which consisted of the Hero 6 Black and the Hero (2018). Today, we'll be testing the company's flagship model, the Hero 7 Black, whose highlight is the new HyperSmooth stabilisation feature. According to GoPro, this is said to offer gimbal-level stabilisation without any additional accessories. The Black model also offers a host of new features including live video and vertical video and photos, making it the most feature-packed GoPro yet. With starting price similar to last year's top-end model, it's time to put these new features to the test to see if the Hero 7 Black is truly a worthy successor. The Hero 7 Black continues with the same design and construction quality as most previous GoPro models, only this time, it actually has a black chassis to go with its name. The camera weighs about 116g and the body has a rubberised coating that covers most of its front and sides. It's also waterproof and can be taken to a depth of 10m. The button and ports are laid out in a similar fashion as before, which means this new model is compatible with existing GoPro accessories including the Karma Grip, Karma drone, etc. There's a single shutter button on the top and a Mode/ Power button on the right side of the camera. The click response is good on both buttons, and they don't require much effort to press. There's a rubber-lined flap on the right of the Hero 7, which protects the USB Type-C and Micro-HDMI ports. Another one on the bottom protects the removable battery as well as your microSD card, which needs to be purchased separately. Around the back, the Hero 7 Black has a 2-inch touchscreen for framing your shot and also changing the settings, similar to its predecessors. There's a secondary monochrome display on the front which is useful for checking various parameters such as the battery level, the capacity of the microSD card, and the current shooting mode. You get a total of three red LEDs placed around the Hero 7 Black so it's easy to tell when it's recording. There are also three microphones for stereo audio and cancelling out wind noise. The core specifications of the Hero 7 Black don't differ too much from those of the Hero 6 Black. 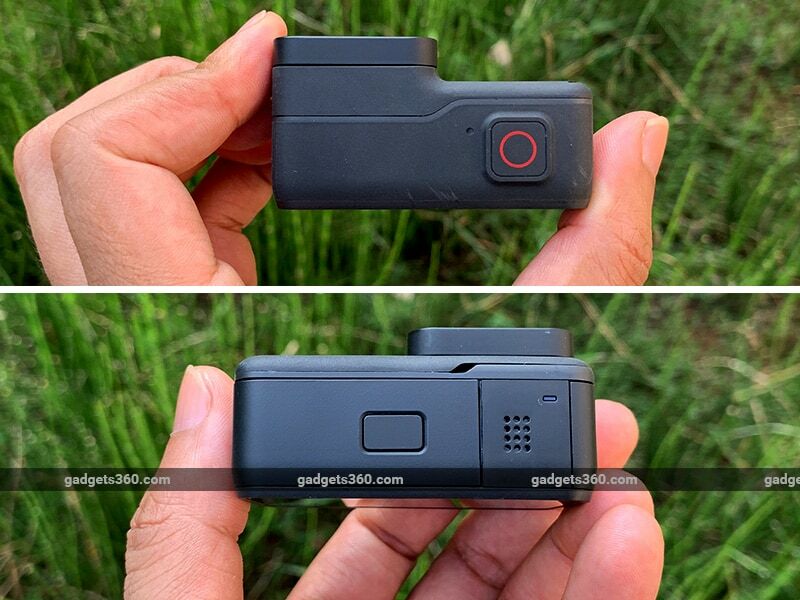 It's still powered by GoPro's GP1 chip and features a 12-megapixel, wide-angle sensor. There's built-in GPS, Bluetooth and dual-band Wi-Fi 802.11 b/g/n. It supports the H.265 or HEVC video codec and has a maximum video bitrate of 78Mb/s when shooting 4K. Just like the Hero 6 Black, the Hero 7 Black can also shoot 4K at 60fps and 1080p at 240fps, with a whole bunch of other resolutions (2.7K, 1440p, 960p, 720p) and framerates in between. The camera also still supports Protune options for professional users, who wish to set the exposure manually. The Hero 7 Black ships with a plastic skeleton bracket that lets you attach it to a huge variety of GoPro accessories, a USB Type-C charging cable, and two adhesive mounts. It's the new features of the Hero 7 Black that really set it apart from its predecessor. The first one, which will easily be the most popular, is called HyperSmooth stabilisation. It works incredibly well and is available at all resolutions at up to 60fps. 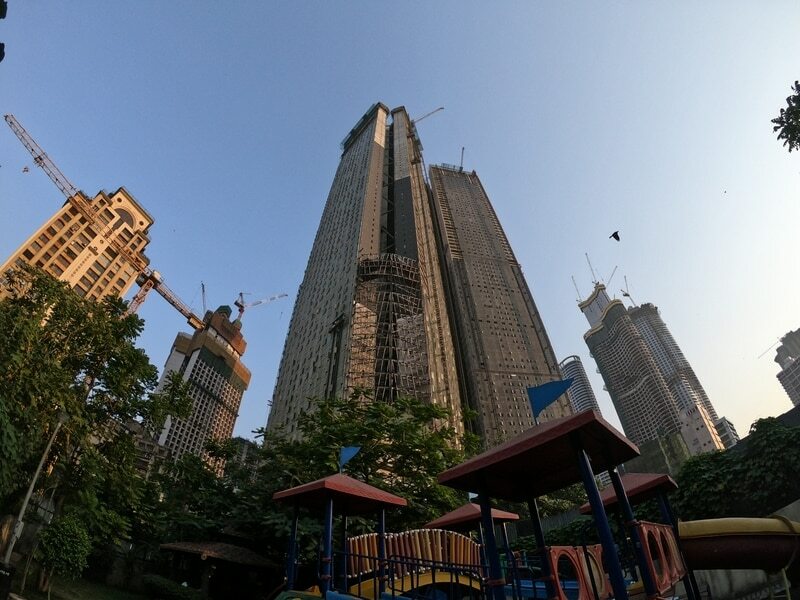 It does crop the frame slightly but you're not really going to notice this, since the Hero 7 Black has a pretty wide field of view anyway. Even when running, the stabilisation masks the jerks of your footfalls very well, making it feel as though the camera is actually on a gimbal. The camera defaults to standard stabilisation once you go above 60fps, resulting in comparatively less smooth videos. Image quality is also very good under good light, and colours are nice and punchy. In low light, images and video are still a bit grainy, like with previous GoPros, so not much has changed in that area. 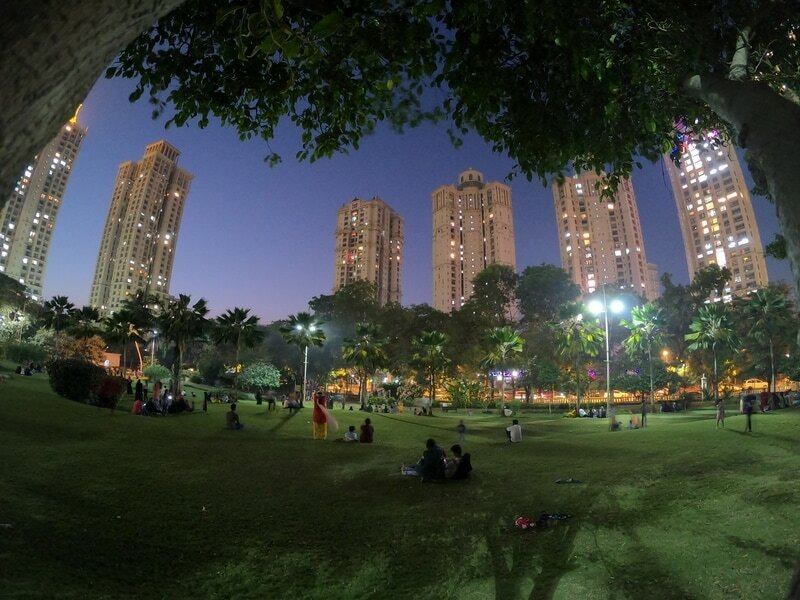 For photos, this can be fixed to an extent if you shoot in Night mode, which uses a slower shutter. There is some amount of barrel distortion in photos and videos, which comes with the territory of using a GoPro camera. TimeWarp video is our second favourite feature. This lets you shoot stabilised handheld timelapse footage so you can add some motion to your timelapse videos, similar to Hyperlapse videos. The results look quite cool and the stabilisation is handled very well. You can choose between 1080p or 4K resolutions and vary the speed of the timelapse from 2x all the way to 30x. 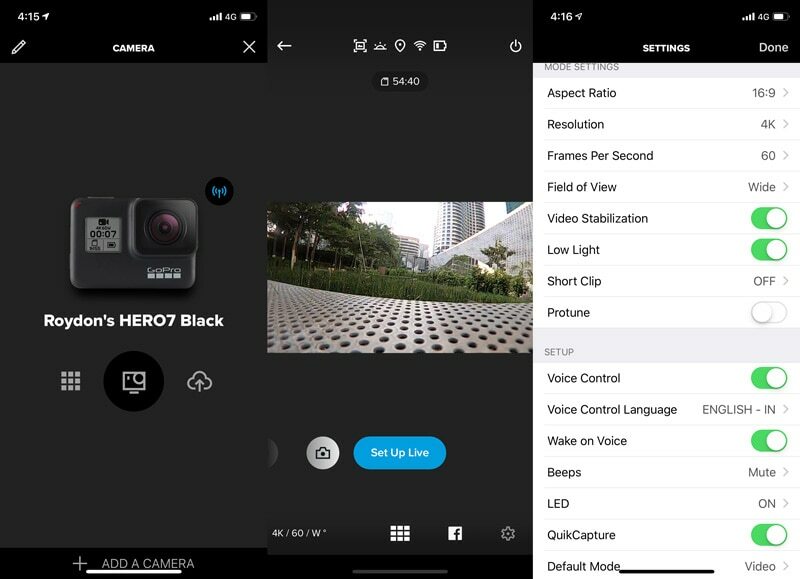 The Hero 7 Black now lets you shoot vertical video and photos for the first time, and share them directly to Instagram Stories through the GoPro App. The viewfinder and the front monochrome display automatically change orientation so you know you're shooting vertical footage. This is a nice addition that GoPro has incorporated, especially considering the rise in popularity of this video format on social media. SuperPhoto captures HDR pictures, and it works a lot better than the WDR mode we've seen previously on GoPros. You can force the Hero 7 Black to shoot in HDR all the time or leave it in Auto mode. You can also set a countdown timer in photo mode, which is a handy addition. Live Streaming is another new feature. It works through the GoPro app and currently supports Facebook Live and RTMP, both of which require you to go through a quick setup process. In the case of Facebook, you'll need to sign in with your Facebook account, add your video description and choose the resolution (up to 720p), whereas for RTMP, you'll need to enter a server URL. We tested Facebook Live since it's the easiest to set up and it worked well. The camera captures decent audio too thanks to the stereo microphones, and you have the option of either using your Wi-Fi networks or LTE, if you're outdoors. In addition to these new features, the Hero 7 Black also has a new user interface. You now simply swipe either left or right to switch between the main Video, Photo, and Timelapse shooting modes. These primary modes have additional variations like timelapse video, timelapse photo, burst photo, looping video, etc, which can be selected too. You now swipe up from the bottom to get to your media. Other preferences and settings can be accessed with a swipe down from the top. The interface can get a little sluggish at times, which is annoying, especially when you need to quickly switch modes. There's also voice control like with previous GoPros, but it now supports Indian English too, so you don't have to try and pull off an accent to issue commands. Voice control can be a little finicky at times and can sometimes mistake conversations for commands. A couple of times, we noticed that our Hero 7 Black had automatically started recording or had switched modes, without us telling it to. Software updates for the Hero 7 Black are issued automatically via the GoPro App. The app itself is simple and pretty straightforward to use, and works on Android and iOS. The camera also supports QuikStories, which saves newly shot photos and short video clips directly to your paired phone and creates a little mini movie for you. If you have GPS turned on, you can also add some interesting GPS stickers as overlays to your video. These range from a speedometer to a little map of the route you've travelled. The Hero 7 Black does get pretty hot if you're shooting continuously for a long duration. We never had the camera shut down on us due to overheating, but even in an air-conditioned room, we noticed it getting quite toasty after about 20 minutes of recording. Battery life is quite acceptable. We managed to get roughly 45 minutes of continuous 4K recording, with Wi-Fi and GPS turned on. With the latter features switched off and at a lower resolution, we usually managed to go beyond an hour on a single charge. The advantage of having a removable battery is that you can simply swap it out for a fully charged one. You can also use the Hero 7 Black with a power bank or other USB power source to run it continuously. The GoPro Hero 7 Black adds a number of useful features over the Hero 6 Black, which makes it a decent upgrade. However, we wish that these features could have been added to the Hero 6 with software updates, since they share many components. If your primary use cases aren't going to take advantage of the improved stabilisation and live streaming, then we recommend sticking with the Hero 6 Black because it does keep up with the newer model in terms of its core shooting capabilities. Those who own a Hero 5 Black or older model on the other hand, will find the new Hero 7 Black to be a much better upgrade. If you've been holding out, then this would be a good time to make the switch. It's still a bit expensive, and low-light performance still has a long way to go, but if you want a feature-packed action camera, the Hero 7 Black is GoPro's best attempt yet. 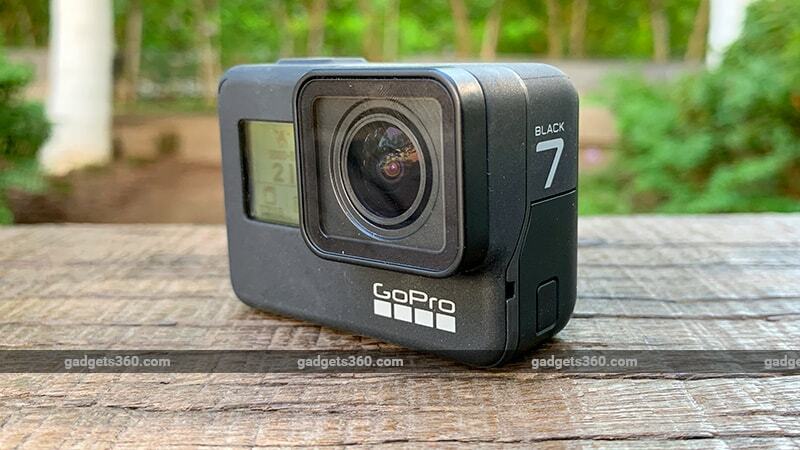 product GoPro Hero 7 Black is the latest offering from GoPro that promises gimbal-level stabilisation for video. But is it a big enough upgrade over the Hero 6 Black? Read our review to find out.